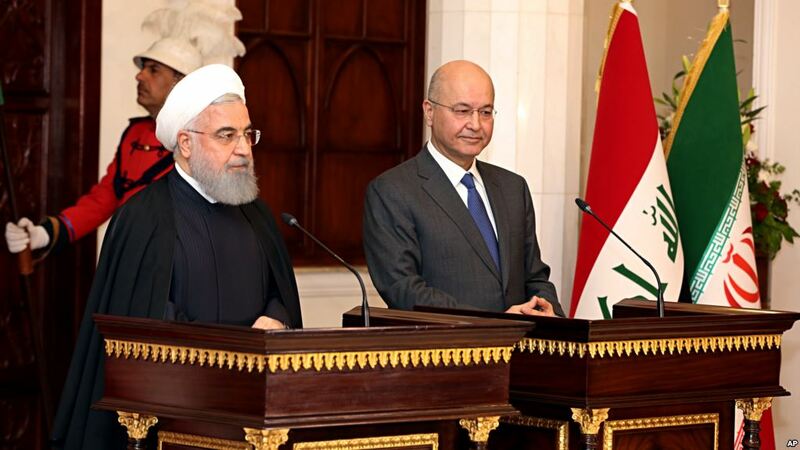 Iraq and Iran signed several preliminary trade deals on Monday, Iraqi officials said, as Iranian President Hassan Rouhani began his first visit seeking to bolster Tehran’s influence and expand commercial ties to help offset renewed U.S. sanctions. The deals, among them a plan to build a railway linking the neighbors, emerged soon after the start of Rouhani’s visit, meant to underline that Tehran still plays a dominant role in Iraq despite U.S. efforts to isolate the Islamic Republic. Iran and Iraq fought a devastating 1980-88 war but the 2003 U.S.-led invasion of Iraq that ousted Saddam Hussein prompted a long Sunni Islamist insurgency during which Iran’s regional sway rose at the expense of the United States. The longlist for the Man Booker International Prize 2019, which was announced on Tuesday, includes two Arabic-language novels: Celestial Bodies by Omani writer and academic Jokha Alharthi and Jokes For The Gunmen by Palestinian-Icelandic writer, poet, translator and journalist Mazen Maarouf. Jokha’s work is the first from a Gulf country to be included in the competition since its inception. The award is given annually to a single book in English translation. The 13 books included in the list have been translated from nine different languages, and hail from 12 different countries across three continents. More than half of the authors are women. In the next stage of the process, the shortlist of six books will be announced on April 9. In a update to our International Women’s Day Instagram post on women’s rights activists in Saudi Arabia, ten of the activists appeared in court on Wednesday in a case that has raised questions about the kingdom’s human rights record. Those who appeared included Loujain al-Hathloul, a prominent figure in the campaign to win Saudi women the right to drive. She was detained last May. Prominent rights activists Aziza al-Yousef, Eman al-Nafjan and Hatoon al-Fassi joined Ms Hathloul and six others in the criminal court in Riyadh, the court’s president confirmed. According to UK-based organization, the detainees were charged in three separate sessions with crimes under the country’s cyber-crimes law, which can carry a sentence of up to five years in jail. The United Nations won almost $7 billion in aid pledges for Syria on Thursday, overcoming donor fatigue after eight years of civil war and pushing aside disagreement, for now, over how to deal with Syrian President Bashar al-Assad. The U.N. under secretary general for humanitarian affairs said that emergency aid would not solve the Syria crisis. “It requires a political solution,” he said. The EU has repeatedly made longer-term reconstruction support conditional on a U.N.-led peace process to end a war that has killed hundreds of thousands of people. But with the U.N. process stuck, Russia’s 2015 military intervention proving decisive for Assad, and Arab neighbors considering re-establishing diplomatic ties, European governments are divided over whether to help rebuild the decimated country. Germany, France, Britain and the Netherlands are forthright in defending a policy of withholding reconstruction money until a transition begins that would lead to Assad leaving power. However, if that were not to happen, European diplomats say they would see it as Russia’s responsibility to seek a solution, given its out-sized military role and support for Assad. The United States pledged more than $397 million on Thursday. On Friday, the U.S. secretary of state told reporters that the United States will revoke or deny visas to International Criminal Court (ICC) personnel seeking to investigate possible war crimes by U.S. forces or allies in Afghanistan. “The ICC is attacking America’s rule of law,” said Mike Pompeo. “We are determined to protect the American and allied military and civilian personnel from living in fear of unjust prosecution for actions taken to defend our great nation.” The ICC, the first global tribunal for war crimes, issued a statement saying it will “continue to do its independent work, undeterred, in accordance with its mandate and the overarching principle of the rule of law.” An ICC prosecutor asked judges in November 2017 to initiate an investigation into alleged war crimes and crimes against humanity committed by Afghan national security forces, Taliban and Haqqani network fighters, as well as U.S. forces and intelligence officials in Afghanistan since May 2003. The United States is not a member of the court. While the world reacted with anger and sadness in the wake of Friday’s mosque terror attack in New Zealand, footage that was pulled down by Facebook, YouTube and other social media platforms resurfaced as a campaign prop in Turkey. In an apparent attempt to galvanize his pious, conservative base ahead of the March 31st local elections, President Recep Tayyip Erdogan screened a montage of blurred fragments of suspected attacker Brenton Tarrant’s online manifesto and his livestream from the massacre, which claimed the lives of 50 people. The president played the edited video at several election rallies and paired them with statements by a Turkish opposition leader to equate his opponent with a notorious Australian senator, Fraser Anning, who blamed Muslim immigration for the attacks. Erdogan was criticized for by New Zealand’s foreign affairs minister for invoking anti-Muslim sentiment to stir up popular support. And, to end on a lighter note, the Red Hot Chili Peppers played in front of Egypt’s Great Pyramids of Giza on Friday, entertaining more than 10,000 people at the site and many more over a live stream link. Singer Anthony Kiedis, bass player Michael “Flea” Balzary, and drummer Chad Smith join the likes of The Grateful Dead, Scorpions, and Frank Sinatra performing at one of the Seven Wonders of the World. 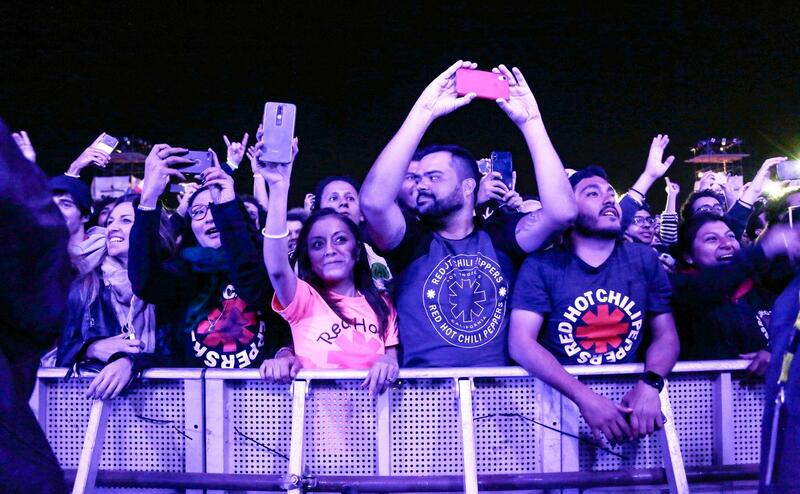 The concert, held under tight security, was promoted by Egypt’s tourism ministry, which is trying to put the country back on the map as a prime destination after an uprising in 2011 and years of subsequent turmoil scared many visitors away. The concert is the first international gig to be held at the ancient site since pianist Yanni in 2015.